Grizzly Creek Ranch Campus is a state of the art outdoor science education facility. The campus was built in 2003 and is completely ADA accessible while providing students, parents and community members a place to connect with the outdoors. 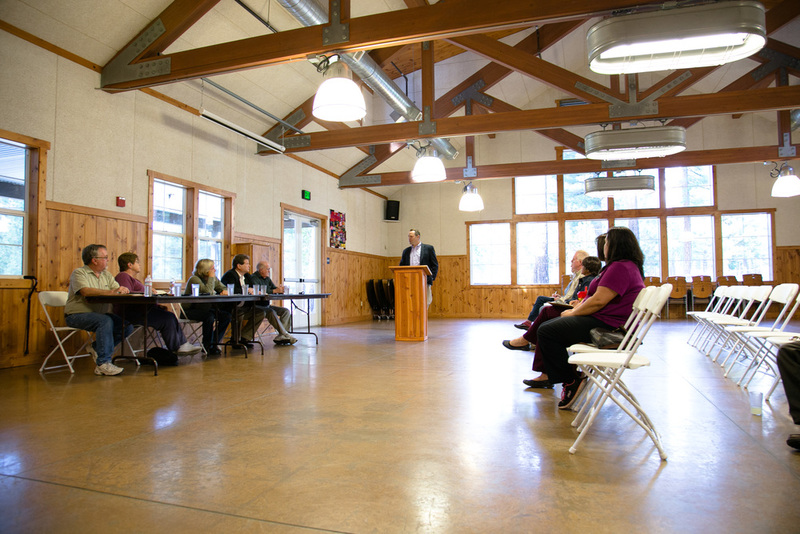 With a spacious and elegant dining hall to enjoy mealtimes and beds for over 200 people, Grizzly Creek Ranch offers the best in rustic, without sacrificing comfort. 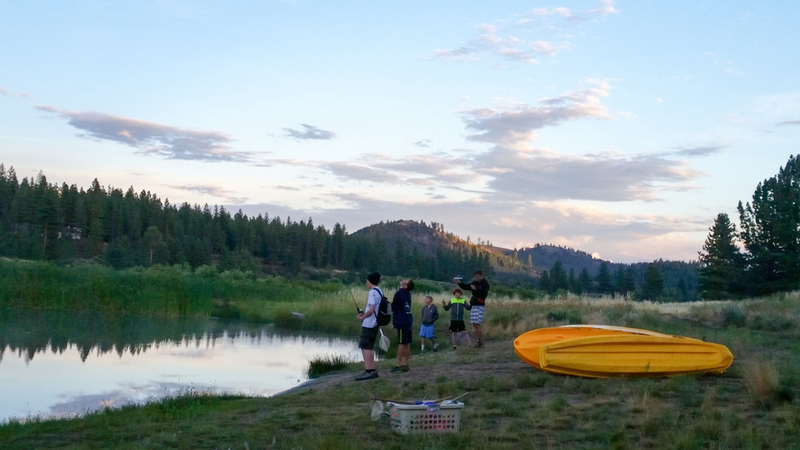 Grizzly Creek Ranch offers numerous opportunities to explore nature and build valuable team building and critical thinking skills while learning and interacting with the world around us. We offer numerous individual optional programs including: hikes that provide wonderful vista views of the area, a challenge ropes course, our famous alpine tower, swimming pool, archery range, arts and crafts, kayaking, fishing, sports activities, field games, night hikes and so much more. Your biggest problem will be deciding what to do. Situated on 1,500 acres of pristine Yellow Pine forest, Grizzly Creek Ranch is an idyllic setting with modern facilities. Our Alpine Tower, ropes course and zip line were all built specifically to encourage team building, and the swimming pool, pond and hiking trails inspire a love for the outdoors. 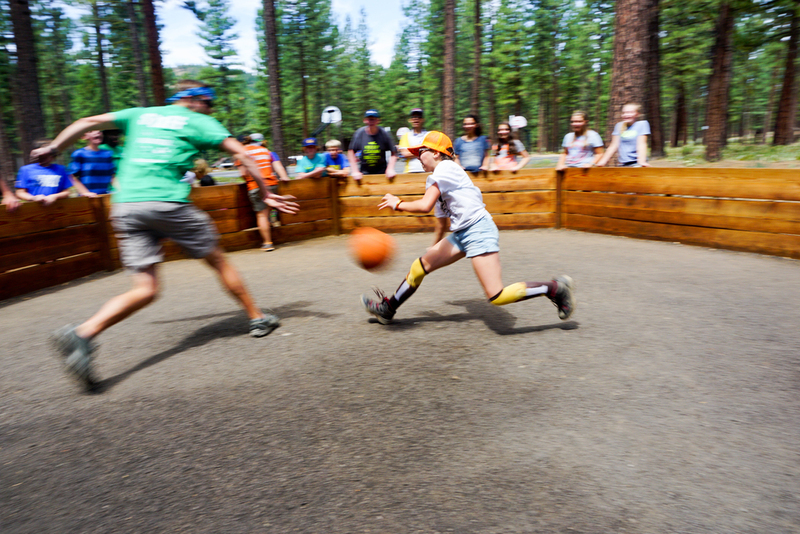 With activity centers like archery, GaGa ball and kayaking, it's impossible to be bored at Grizzly Creek Ranch. 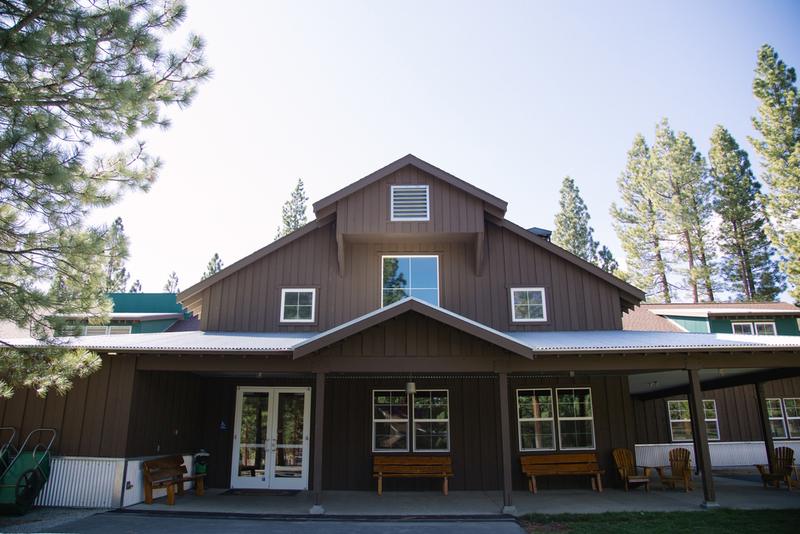 Grizzly Creek Ranch offers a spacious and elegant dining hall to enjoy mealtimes. The Dining Lodge has two dining halls that can accommodate up to 176 people for breakfast, lunch and dinner. There is a large outdoor patio that can be used for meals or get-togethers, and the dining halls can be configured for a variety of uses. The fireplace room is a great spot for small group gatherings or lessons. Our professionally equipped kitchen and trained staff offer nutritious meals throughout the day. The meals offered meet a wide variety of tastes and special requirements. Menus can be modified according to the needs of each group. Grizzly Creek Ranch has four modern Cabin Villages, two Yurts and two large stand alone dormitories. Cabin Villages consist of three modern cabins that accommodate up to 10 participants and two adults in separate alcoves. Each clean and comfortable cabin has its own restroom. 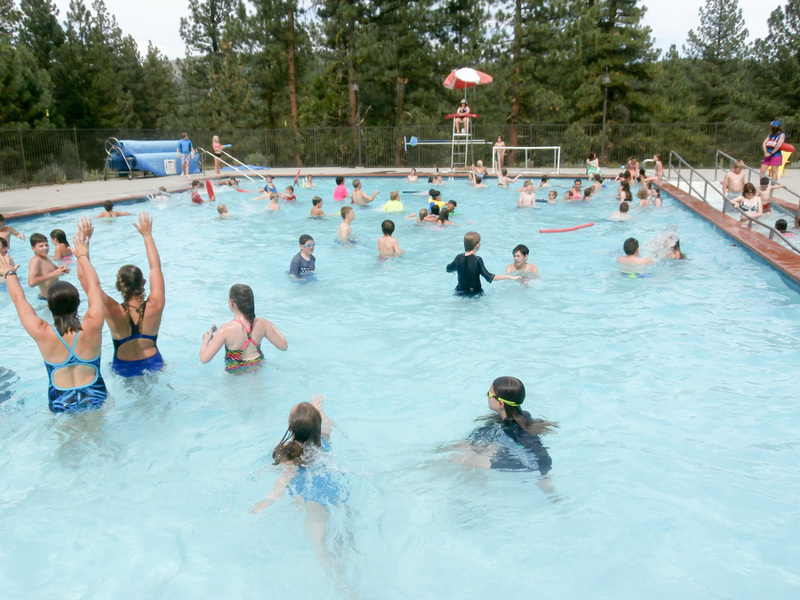 Modern shower facilities are located in next-door activity centers. Activity centers within each cabin village are used for group gatherings or meetings, and activities such as arts and crafts. There is also a washing machine and dryer in each center. All buildings are heated in the winter. Cabin Villages are situated around a large meadow (which happens to be a great place to run and play) and are connected to the Dining Lodge and our other facilities with wide hard-surfaced walkways. 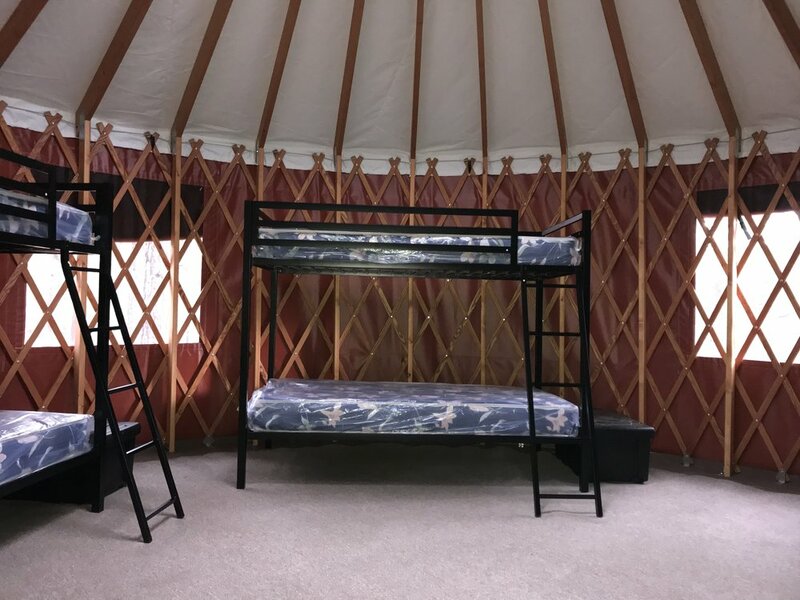 Grizzly Creek Ranch also offers visitors Yurts in the summer that help students and community members connect to the outdoors and experience all the modern camp amenities from a rustic viewpoint. 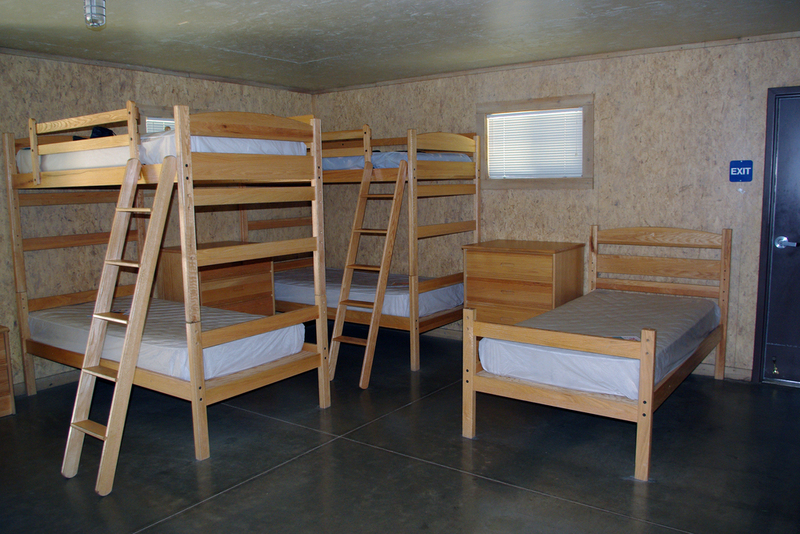 Two large stand alone dormitories round out the sleeping options at Grizzly Creek Ranch. The dorms have a modern design with in suite bathrooms, accessible showers, air conditioning and heating as well as comfortable mattresses and a relaxed atmosphere to facilitate learning.